March 30, 2011 New Jersey Nets Vs New York Knicks Game. March 30, 2011 New Jersey Nets Vs New York Knicks Game. 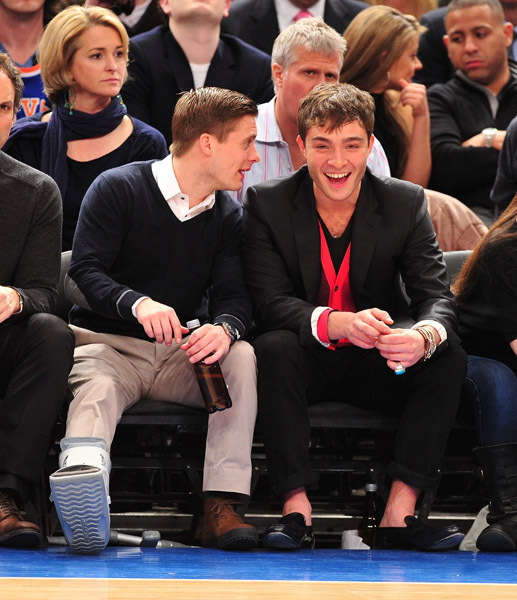 Wallpaper and background images in the Ed Westwick club tagged: ed ed westwick westwick. This Ed Westwick photo contains costume d'affaires, costume d’affaires, costume, costume de vêtements, robe costume, robe complète, frac, manteau de queue, queues, cravate blanche, cravate blanche et la queue, robe longue, tailcoat, tail coat, tails, cravate blanche et queues, habit, robe pleine, and queue de pie.